His agent tells ESPN's Adrian Wojnarowski that the big man has agreed to a deal with the Portland Trail Blazers. It is a blessing to continue to compete at the highest level! 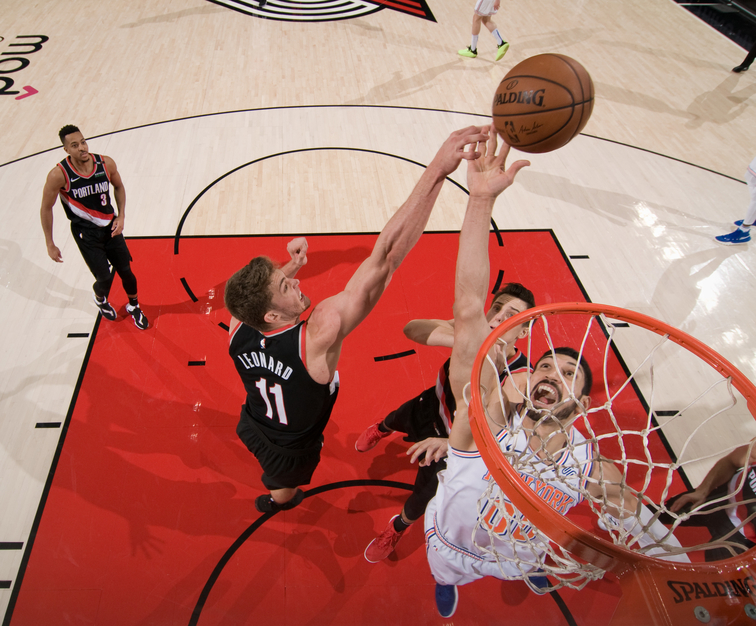 In eight seasons with Utah, Oklahoma City and New York, Kanter has averaged 11.9 points and 7.6 rebounds. He appeared in 44 games. It has been an eventful season for the Turkish Kanter, who also has verbally jabbed with Recep Tayyip Erdogan, the president of Turkey. And even though he's a liability on defense, he figures to immediately step into a rotation spot at backup center behind Jusuf Nurkic.